Are you team ABA (American Barrel-Aged) or NBA (Nicaraguan Barrel-Aged)? This is the question Camacho is thrusting onto cigar enthusiasts throughout the remainder of the year. 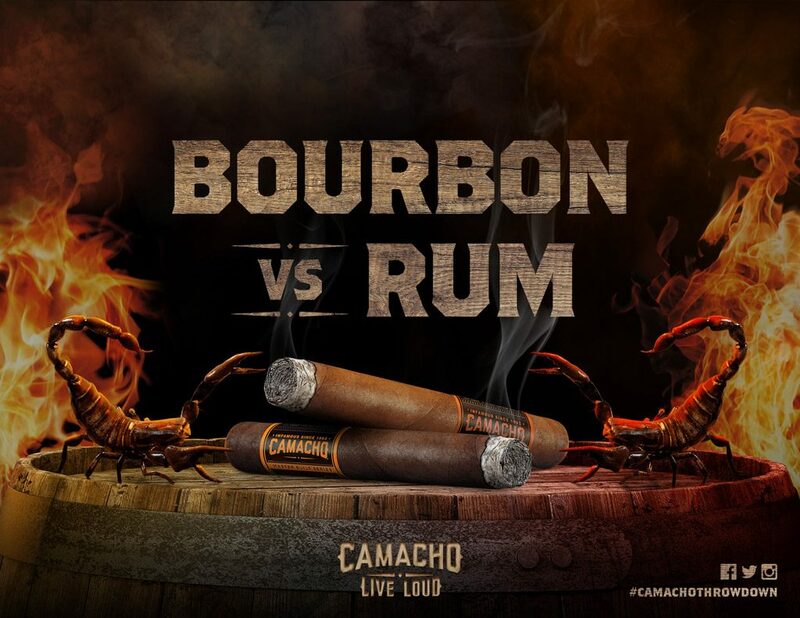 The concept is dubbed Camacho Throw Down, where the company plans to pit their two barrel-aged cigars against one another, leaving consumers to decide between bourbon and rum. To aid in the battle, Camacho has enlisted the help of two experts in their respective crafts, Tom Fischer and David Rose (aka “Big Swole”). On one side, Whiskey expert and educator, Tom Fischer, founder of BourbonBlog.com and creator of the first ever Whiskey Sommelier category, has been named captain of team American Barrel-Aged. On the other side, Chef David Rose, aka “Big Swole”, creator of the T.L.C. Experience: Tastings, Libations, Cigars, national brand ambassador and culinary instructor for Big Green Egg, and Food Network personality, will captain team Nicaraguan Barrel-Aged. Tom and David will lead their teams in social battles, as well as in-store events, kicking off on August 30th at Davidoff’s Tampa location. Throughout the remainder of the year, Camacho plans to host in-store promotions, events, and social media contests, where enthusiasts are encouraged to use #CamachoThrowdown to witness the battle results in real time. Camacho introduced American Barrel-Aged in 2015, featuring primarily American tobaccos and highlighted by Corojo leaves that have been aged in bourbon barrels for five months. The cigars were later expanded to include a range of six sizes, all of which are currently available, with prices ranging from $10 to $15 MSRP. ABA was followed in 2017 with Camacho’s Nicaraguan Barrel-Aged (NBA), a similar project that focused on Nicaragua and the country’s popular Flor de Caña rum. For this project, Camacho uses a multi-national blend, highlighted by the inclusion of Nicaraguan Corojo leaves that have been aged in some of the world’s oldest Nicaraguan rum barrels (Flor de Caña). NBA is currently available in a range of three sizes, with prices ranging from $10 to $12 MSRP.